And the ice cream. Oh my gosh! The Salted Carmel is PERFECTLY flavored...just right and oh so delicious!!!! The pork chops were the best I have ever eaten. You are definitely putting out wonderful food!! Thank you and your family for your efforts to keep the rest of us healthy! Just wanted to drop a quick note and let you know that last night we grilled some of the pork loin chops from our half hog order. My husband and I both agreed that it was the BEST pork we have ever had. The flavor and tenderness were wonderful! ​This says so much about the and your care and treatment of your animals!! Loved it!! Thank you so much! The whole process, from working with you, watching the video and finishing with the butcher could not have been better. 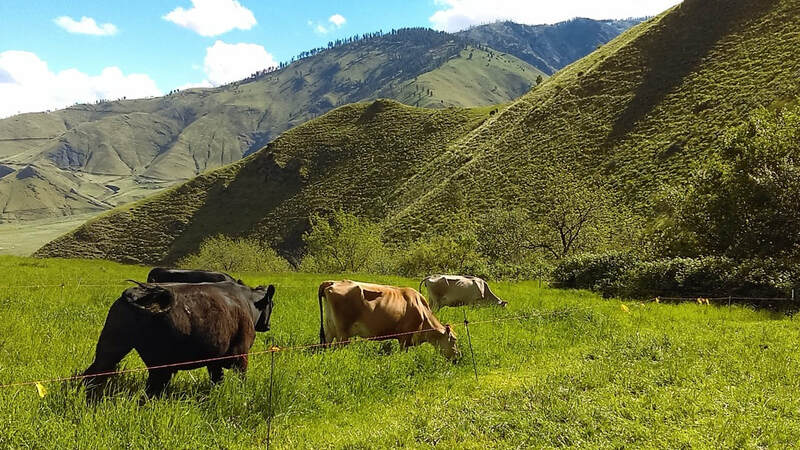 "I had just about given up on finding good dairy products until I found the best ever, from 7U Ranch,LLC. All of the milk products are raw and so fresh & sweet. ​They must have Happy Cows! They also sell beef, pork, chickens and eggs. Once you taste their pasture fed products you won't want any others. They also deliver!" "We had some of your steaks, the other day and the fat was like CANDY! It was so good! " "I just have to contact you about this morning's breakfast. I greatly enjoyed a plate of 7U eggs and Walnut Grove pork sausage. ​ It was the most flavorful breakfast I can remember having. The eggs with their dark yokes and the wonderfully seasoned sausage were a pleasant way to begin my day. Added to that, knowing it was a healthy meal added icing to the cake. Thank you for the food products you make available." "Contented animals raised by a loving family. They are happy to share their amazing organic ranch experience through tours. Delicious products. Life changing, truly."